1. What is clinical neuropsychology? Clinical neuropsychology is a health care specialty that focuses on evaluating cognitive and behavioral changes related to medical illness or psychiatric disorders. Chesapeake Neuropsychology offers comprehensive outpatient neuropsychological assessment, meaning that we specialize in evaluating and documenting cognitive and behavioral functioning relating to many different conditions (see below). Both clinical and forensic services are available. We also offer “baseline” cognitive evaluations and intelligence testing for healthy adults. 3. What kind of conditions can you help with? 4. Do you offer psychotherapy or prescribe medications? We do not offer psychotherapy (or “talk therapy”), but we always consider whether psychotherapy may be appropriate for our patients and often make recommendations accordingly. We do not prescribe medications. 5. What ages do you see? We see ages 18 and older. 6. How long does an evaluation last? Neuropsychological evaluations can last anywhere from 3 to 7 hours, with a 1-hour break for lunch. Each person and their situation are unique, so assessments are tailored to each individual. Your test session will be designed specifically to answer your questions and your doctor’s questions. 7. I don’t like taking tests. I am nervous about this appointment. What exactly happens during a neuropsychological evaluation? You will first meet with Dr. Wendell, who will gather relevant information during a clinical interview, which will be followed by testing with our psychometrist Robin Sprague, MS, who has specialized training in administration of neuropsychological tests. Some patients find certain tests boring or “school-like,” but most people find the entire testing session to be a fun and interesting way to spend their time. 8. How do I prepare for the appointment? 1. Get a good night’s sleep! 5. Bring paperwork, a trusted family member or friend, insurance card, photo ID, eyeglasses, hearing aids, and any medical records you would like us to review. 9. What will happen after the evaluation? When will I receive the results? Your results will be available approximately 2-3 weeks after your evaluation. You will be given the choice whether to receive your results from your referring doctor or from Dr. Wendell directly during a feedback appointment. 10. What is the cost and what insurances do you accept? Costs vary depending upon your insurance coverage and referral questions. We currently accept Medicare, Blue Cross/Blue Shield, and Aetna insurance plans. We are considered out-of-network with other insurance carriers. We are happy to provide all paperwork necessary for you to submit to your out-of-network carrier for reimbursement of evaluation costs. Please see our Payment tab for more details. 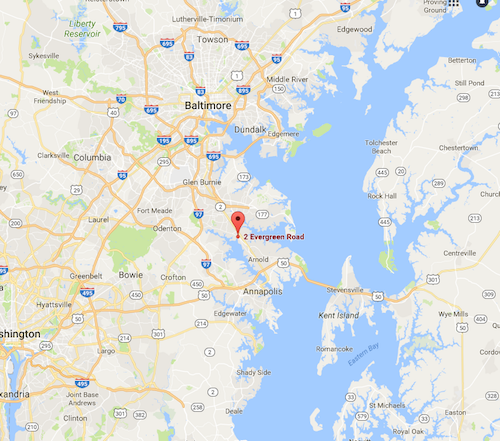 Chesapeake Neuropsychology is located in Anne Arundel County and serves patients from many surrounding cities and counties as well, including Annapolis, Baltimore, Washington DC, Calvert County, St. Mary’s County, Charles County, Prince George’s County, Howard County, Baltimore County, and the Eastern Shore. Please click here for directions.